The ideal gift for First Communion: What would children’s church, First Communion or family services be without music and children singing? 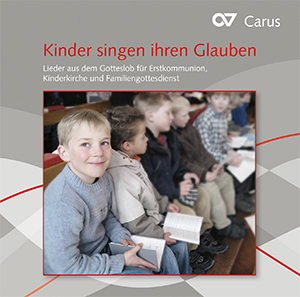 How nice that the new Prayer and Hymnbook “Gotteslob” gives special emphasis to hymns suited for children. On the present CD children’s choirs and youth choirs perform many of these hymns. They are ideally suited as handouts for First Communion and for family services.